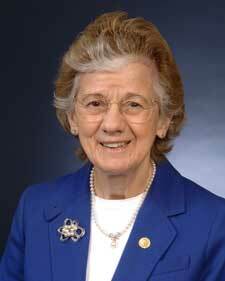 Rita R. Colwell is distinguished university professor both at the University of Maryland at College Park and The Johns Hopkins Bloomberg School of Public Health; senior advisor and chairman emeritus, Canon U.S. Life Sciences, Inc.; and president and chairman of CosmosID, Inc. Her interests are focused on global infectious diseases, water, and health. Colwell served as the 11th director of the National Science Foundation (NSF), from 1998-2004, and in that capacity served as co-chair of the Committee on Science of the National Science and Technology Council. She also has held many advisory positions in the U.S. government, nonprofit science policy organizations, private foundations, and the international scientific research community. She is a nationally-respected scientist and educator, and has authored or co-authored 17 books and more than 800 scientific publications. Colwell produced the award-winning film, Invisible Seas, and has served on editorial boards of numerous scientific journals. Before joining NSF, Colwell was president of the University of Maryland Biotechnology Institute and professor of microbiology and biotechnology at the University of Maryland. She was also a member of the National Science Board from 1984 to 1990. Colwell has previously served as chairman of the board of governors of the American Academy of Microbiology and also as president of the American Association for the Advancement of Science, the Washington Academy of Sciences, the American Society for Microbiology, the Sigma Xi National Science Honorary Society, the International Union of Microbiological Societies and the American Institute of Biological Sciences. Colwell is a member of the National Academy of Sciences, the Royal Swedish Academy of Sciences, the Royal Society of Canada, the Royal Irish Academy, the American Academy of Arts and Sciences and the American Philosophical Society. Colwell has been awarded 57 honorary degrees from institutions of higher education, including her alma mater, Purdue University, and is the recipient of the Order of the Rising Sun, Gold and Silver Star, bestowed by the Emperor of Japan, the 2006 National Medal of Science awarded by the president of the United States and the 2010 Stockholm Water Prize awarded by the king of Sweden. Colwell is an honorary member of the microbiological societies of the United Kingdom, Australia, France, Israel, Bangladesh, Czechoslovakia and the U.S., and has held several honorary professorships, including the University of Queensland, Australia. A geological site in Antarctica, Colwell Massif, has been named in recognition of her work in the polar regions. Colwell holds a bachelor's degree in bacteriology and a master's degree in genetics from Purdue, and a Ph.D. in oceanography from the University of Washington.